i wasMoving to a Caribbean island paradise from Ontario, Canada was an easy decision (believe it or not). Selling my beloved Honda CBR600RR ‘Jack’ – was not. 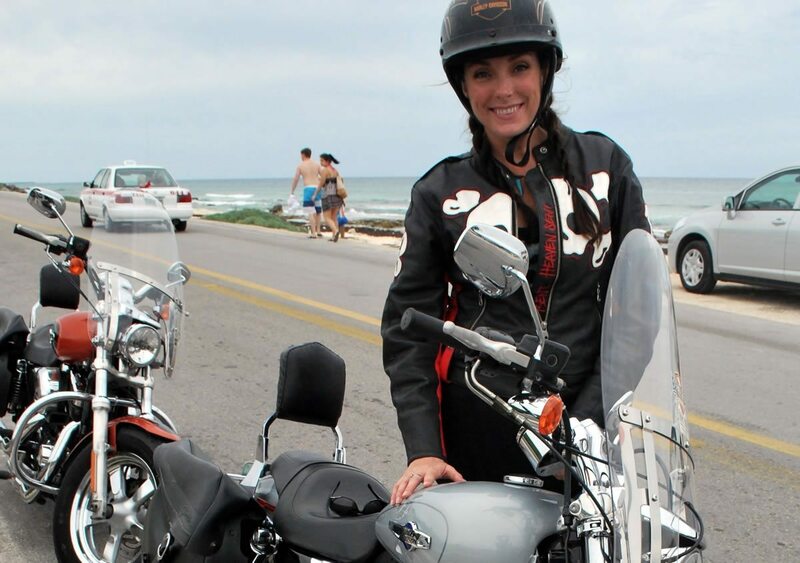 So what’s a girl to do when an awesome friend back in Toronto sets up a ride day with EagleRider Cozumel, an island Harley-Davidson rental tour company in exchange for a review? RIDE! Friday, December 10th at 9:30am, there I was standing outside Cozumel EagleRider Harley-Davidson rentals, checking out a row of shiny, chrome-covered Harley-Davidsons. Those beauties positively gleamed in the morning sunshine! I started my riding career on cruisers before moving onto sportbikes, so I’m not at a complete loss when it comes to the rumble and grumble of a big bike – still, it completely threw me when I couldn’t find the pegs without looking. They just weren’t anywhere near where I’m used to finding them! Aside from that and the weight of the beast I was allotted (a grey Harley-Davidson Sportster 1200 Custom), I figured I have enough experience on different bikes that I’d get myself sorted out pretty quickly… and if it were to end really humiliatingly – I’ve heard Costa Rica is nice. Upon arrival, the young woman at the desk got everyone sorted out with releases, bikes, bandanas (if you wanted one) and helmets. Then Adrian and Joseph (the owners) started off by greeting everyone before explaining how our day was planned. Adrian would be our fearless ride leader while Joseph would be the ride sweeper. Adrian went over hand signals and gave us an idea of where we’d be riding, as well as the plan for filming, as that was an addition to our day. He also checked that everyone had experience and felt comfortable riding, then it was a quick bathroom break and making sure we all had water before heading out. We went to our perspective bikes and geared up. Now this could be an issue for some. Hauling riding gear will not be foremost on your mind when weighing your suitcase and pondering airline fees! Then there’s the heat vs. protection aspect. I was an ATGATT (all the gear, all the time) kind of girl back in Canada but since moving here and making a scooter my primary mode of transport (Yup, it is. Stop laughing), I admit I’ve ridden in flip flops, shorts, bikini top and skirt…even a dripping wetsuit peeled halfway down. Island life baby, it is what it is. So do what makes you comfortable, it’s your skin – although I don’t recommend wearing shorts, there’s a LOT of heat coming off those bikes! Once we’d fired up the bikes, Adrian eased us out into the traffic on Rafael Melgar, the main road that runs seaside through town. He took us on a relatively short loop up through the area (probably to see how we all handled our bikes) then we headed out of town. Riding around to get film shots was part of our day – but I’ll get to explaining the ‘guts’ of the tour as it were. One of the first stops is El Cedral. Living here in Cozumel, I’ve been to Cedral a few times but I’ve never had an actual tour. I got to learn some new things! Adrian was very knowledgeable and led us through a couple areas giving us the history. 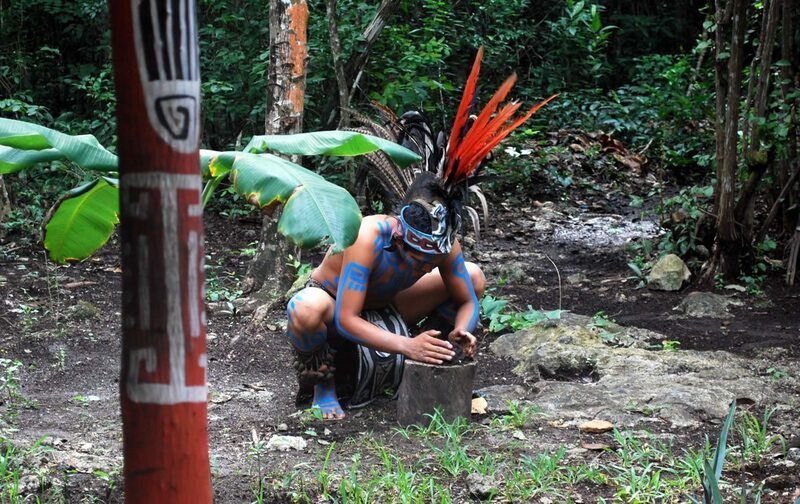 We then had our photos taken outside a Mayan ruin with a local Mayan descendant, dressed in impressive body paint and feathered garb. We then visited one of the shops in Cedral where black coral is fashioned into beautiful jewelry and assorted other items. 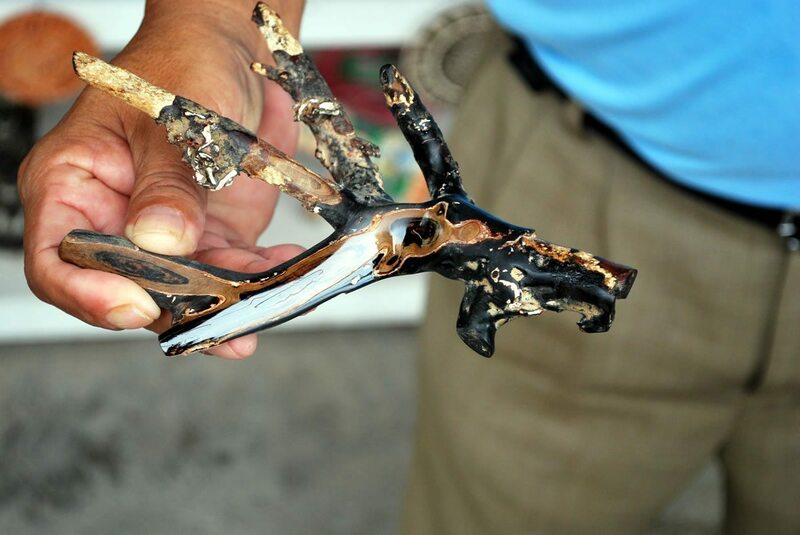 The owner explained that there are only two divers on the island who are licensed to harvest black coral – and that is who they source it from. He showed us the raw coral and then ground and polished a piece to show the beauty of it. He also explained how to tell if it’s real black coral. Beautiful stuff! 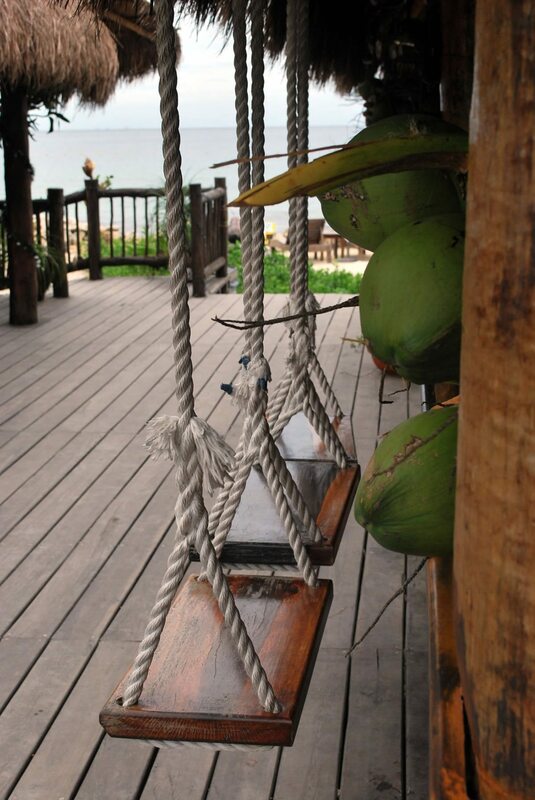 Next stop – fresh coconuts beachside! We had a moderate weather day for riding. Sunny, with enough clouds to keep it comfortable – but on a hot day, nothing beats fresh coconut water to hydrate and balance electrolytes if you’re sweating a lot! It’s a great idea to have a stop to soak up the beauty of the sea and sand. The really cool thing is that Adrian is flexible… If you want to add in some snorkeling or shopping or something else, he’ll do his best to make it work! Keep in mind, a small, private group will be easier to work with rather than trying to fit in side adventures with a larger group of people you don´t know. 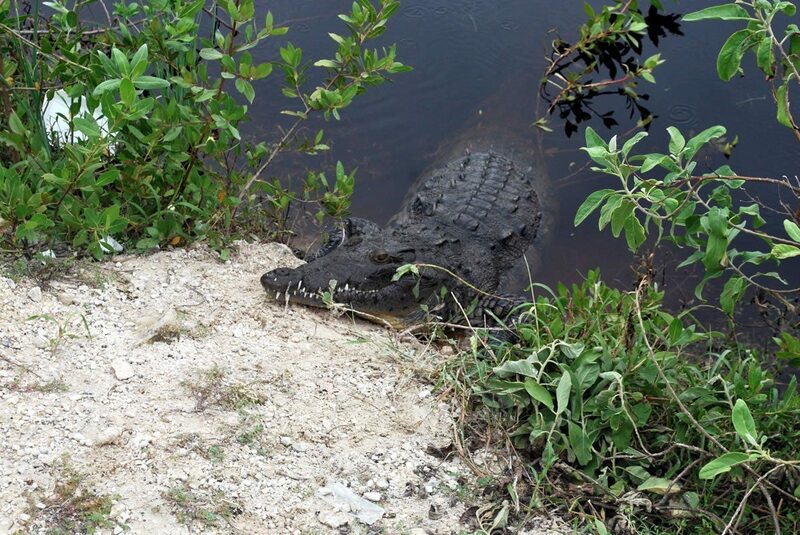 The island has lots to offer and plenty to see – we even pulled over just to check out a freshwater crocodile sunning itself near the road! 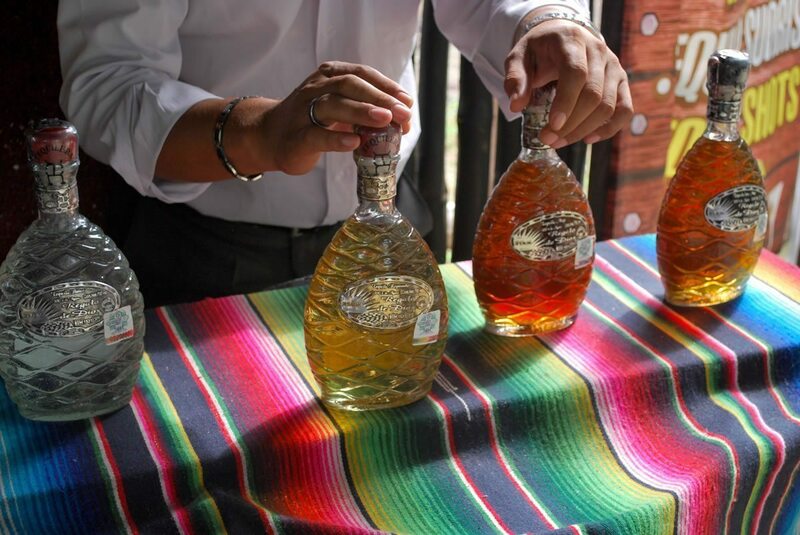 Next up – Mi Mexico Lindo for a tequila tour at the Pee Pee Station (as it’s known locally!) location on Transversal Road. 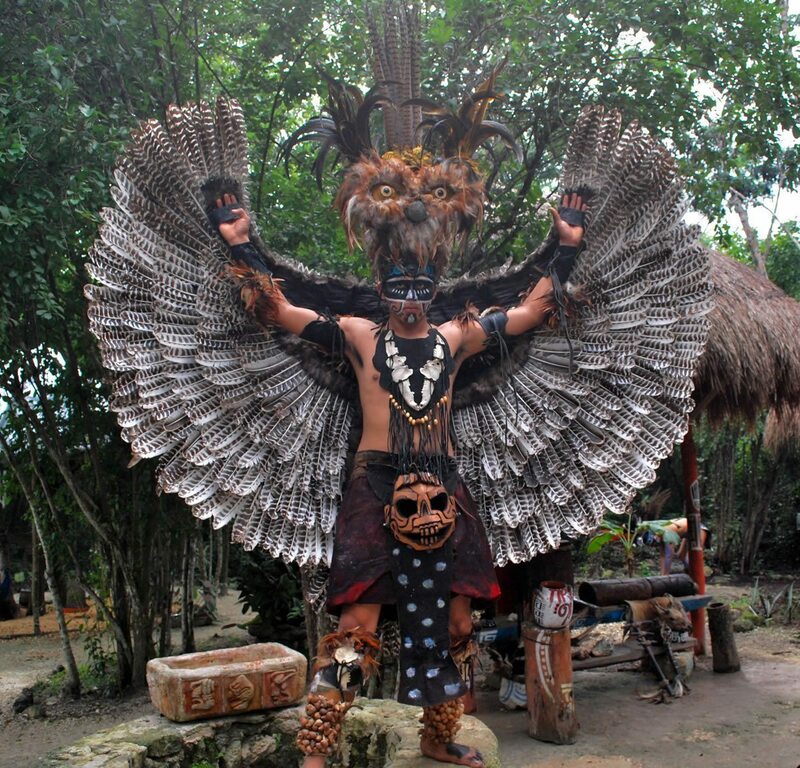 You get a small gift and can have photos taken with a ornately garbed Mayan warrior and others. Once more, Adrian was knowledgeable on the site and history. Taking us through the village up until the tequila portion of the tour. 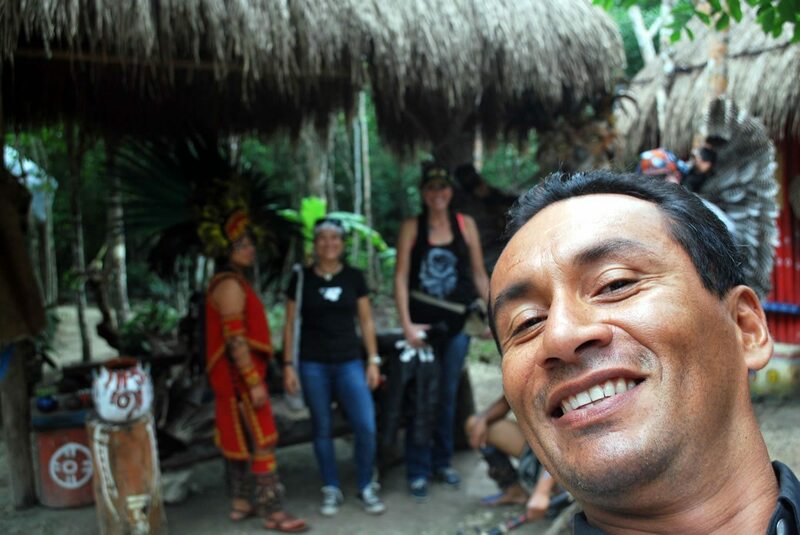 After Mi Mexico Lindo, it was more riding and showing off our skills for the camera man and his drone buzzing overhead! After another loop we headed to Sky Reef for lunch. It was our grand S.O.C. moment (Sons Of Coconuts..or are we the Coconuts Of Anarchy?). Rolling in two by two…. Bikes rumbling. Everyone checking us out. Yeeeeaaahhhh….. Be jealous, kids. Sky Reef is a newer establishment but it´s grown a solid reputation on the island for quality and service and their snorkelling right out front. They have tequila tasting, massages on the beach, free wifi, and hammocks to chill out in. We feasted on chicken fajitas except a couple people that ordered the tremendous looking burger. Everyone seemed satisfied their food was excellent! 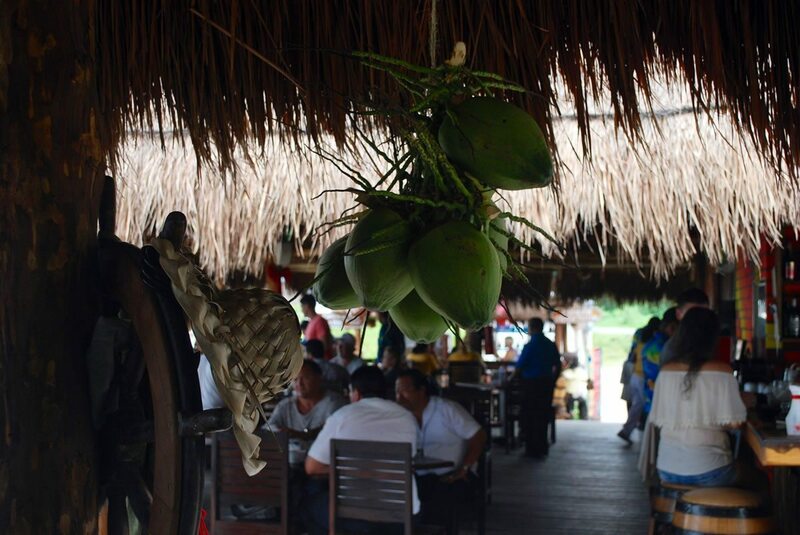 Limonada (a local drink made from fresh lime) was a popular choice for rehydrating and refreshing. 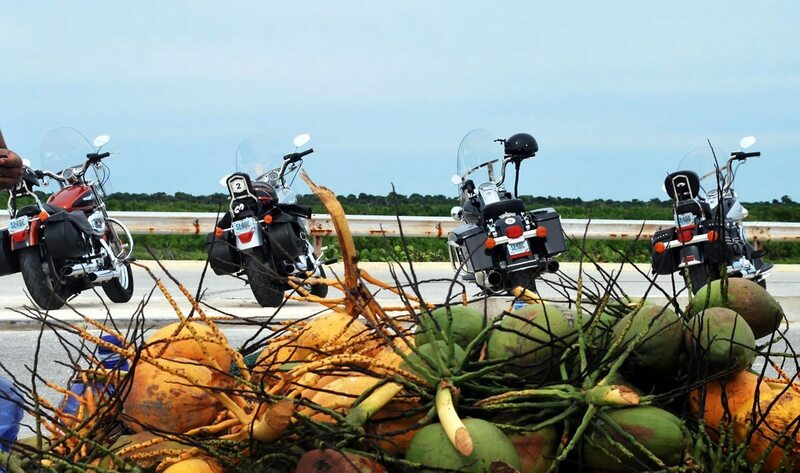 Fun on two wheels, with the sun and sea – ya can’t beat it! Adrian is a great host and guide. Knowledgeable and friendly, he made sure everyone had a good day. 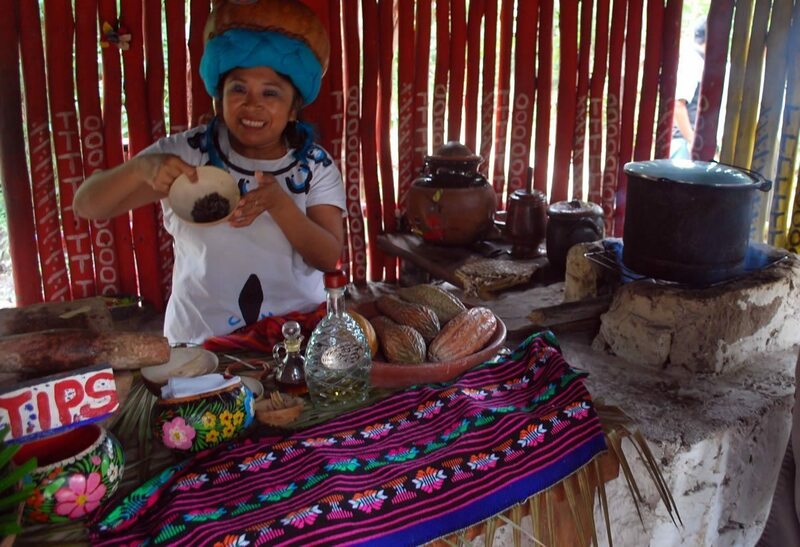 The choice of stops and excursions was great although keep in mind, there’s some flexibility – their goal is to make you happy with your tour! 1) Experience. This is NOT the time to learn to ride… Personally, in my opinion, I´d also recommend having some group riding experience. You don´t need a lot but if you´re new to it, a couple group rides under the belt can’t hurt. 2) Riding sunglasses. This is important. Dirt and dust are going to get kicked up at you at some point, make sure you bring or buy eye protection that will actually protect. 3) I know it’s hot – but consider wearing jeans. 5) Shoes you can ride and shift in comfortably. 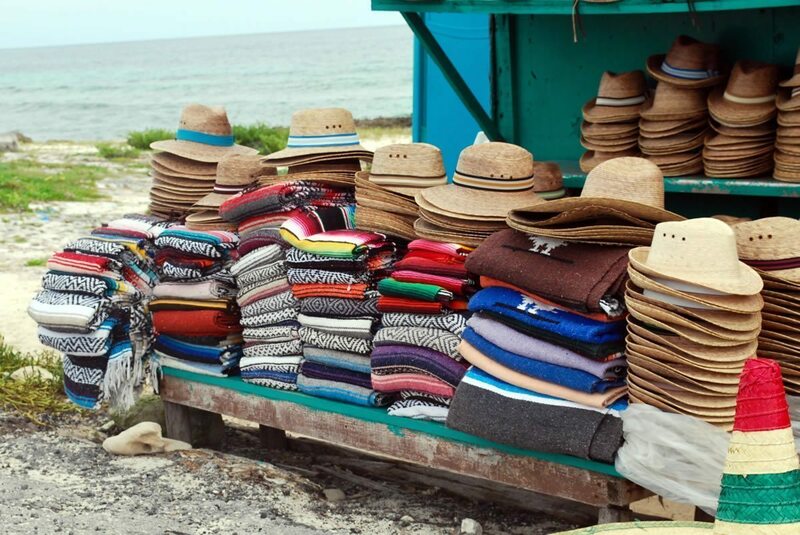 Obvious, I know…but you may want something you wouldn’t normally pack for a vacation, so just a reminder. 6) Whatever clothes or jacket you think you will need for comfort. There are saddle bags to store a jacket, etc. if you don’t need it and if it starts raining, the tour continues, so a raincoat might be something to consider. 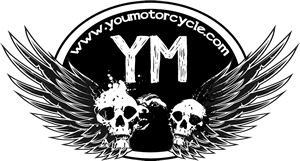 I was happy to do this ride not only to write it up for YouMotorcycle but also for the opportunity to check it out for myself and to get back out on two wheels once more. Riding a scooter is fun but just doesn’t compare to being on a motorbike. I miss my sport bike somedays and the chance to ride around my new island home on a Harley was a welcomed opportunity! 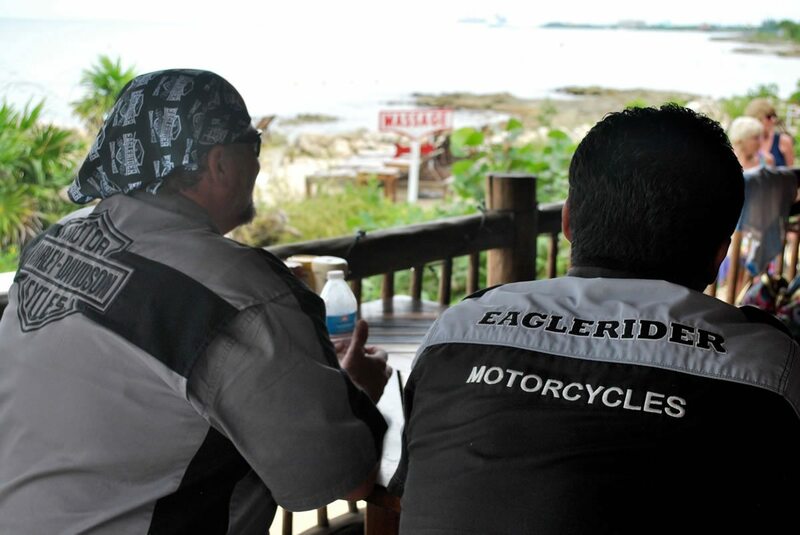 I absolutely recommend EagleRider Cozumel for an island tour! Thanks again to Adrian… and Adrian… from Adrienne. Hahahaha! And if you are planning a vacation on the island and are interested in more tours, excursions, things to do – I can set you up! I’ve done this tour 4 times and agree 100% with your review. On a side note, Adrian will also allow non motorcycle drivers to ride in a sidecar if you would like the experience to do so! 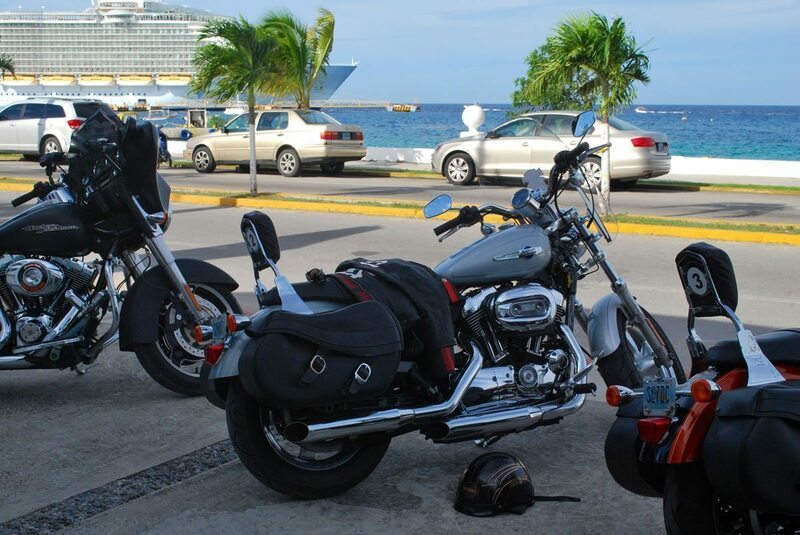 I’ve never ridden on the bikes but I lived in Cozumel for 2 1/2 years and rode a moto. I met Adrian when I 1st arrived and got to know him and his family during that time. He is one of the nicest guys you’ll ever meet and knows the island like the back of his hand. What ever he does he does right. Enjoy!! 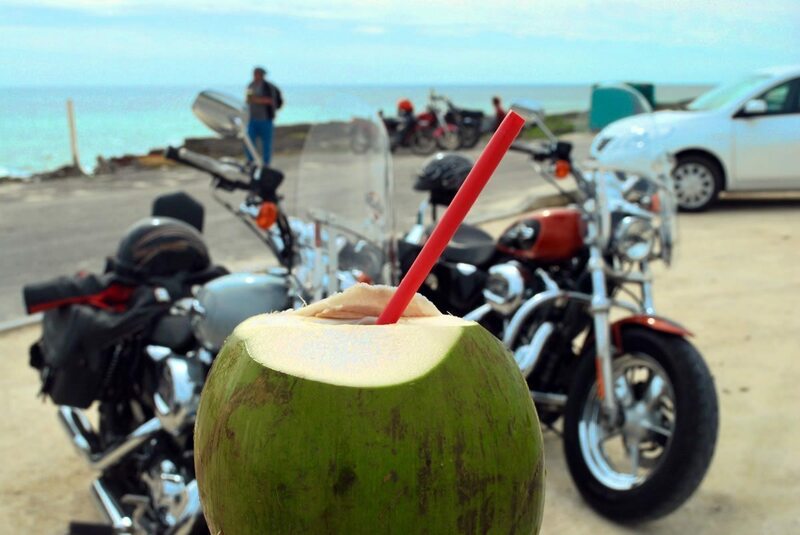 Rented a Honda Cub and that is all you need on Cozumel. Great island. Adrian and the team at Eagle rider are awesome !!! The bikes are nice and the tour is great 2and 1/2 thumbs up !!!! Lol. Keep up the good work Eagle rider. PS. A Honda is not the same sorry Derek !!! I totally agree. This was the best tour I did while there last year cruising.